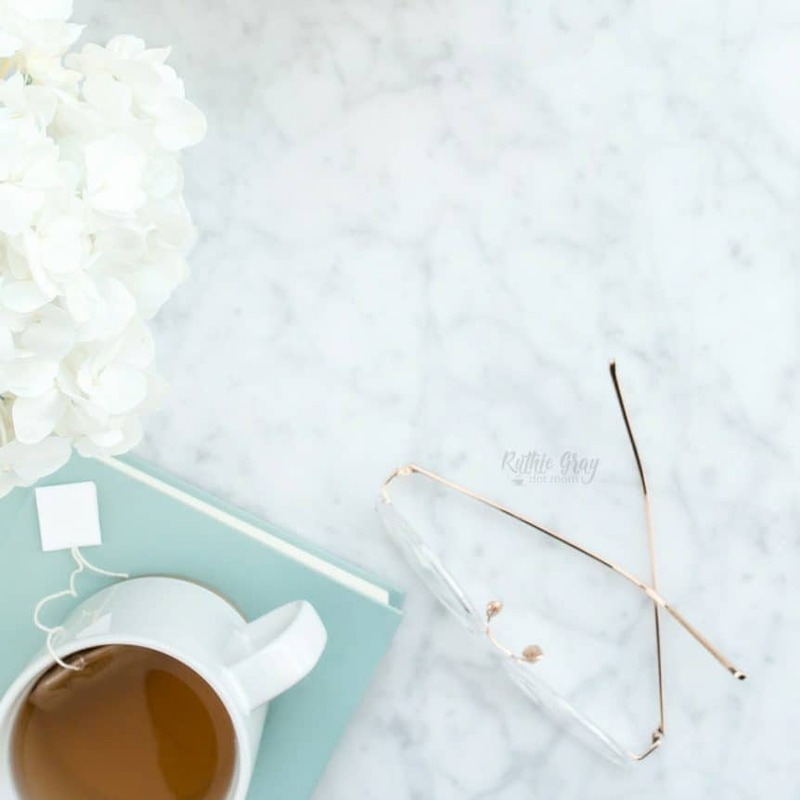 Have you found yourself lacking patience lately? I got you, fam. 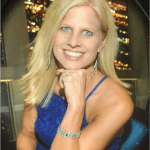 And so does my special Summer Sizzle guest today, Valerie, from Valerie Murray.com. my pal, Val, and I have a LOT in common – although a few years removed in age, she has four children and the genders are girl, boy, girl, girl – like mine! 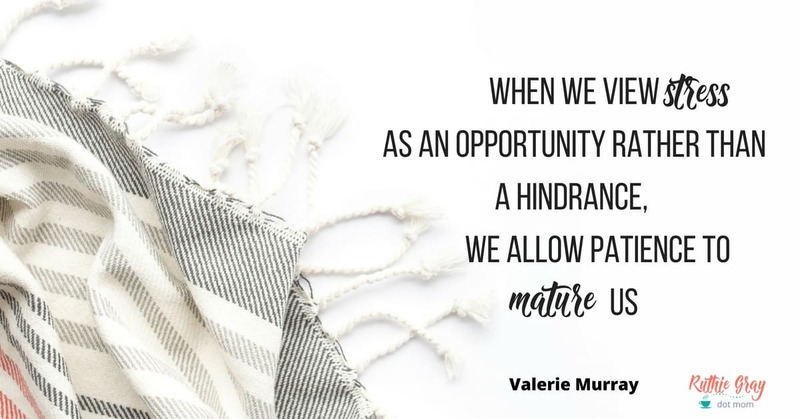 I’ve always felt a special connection with Valerie and her perspective on child-rearing makes me smile. The girl is doing something right – see for yourself! I cringed when I looked up the definition of patience in the dictionary. Yikes! I know I have some work to do in this area of my life. Patience: The capacity to accept or tolerate delay, trouble or suffering without getting angry or upset. Recently when confronted with some situations I knew would require patience, I had to remember to apply this familiar verse. 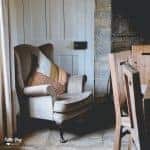 Have you ever tried looking at stress as an opportunity rather than a hindrance? As I studied James 1:4, I realized I have a choice. I could allow stress and trials to produce a sinful reaction or I could allow it to develop patience in me. How do we allow patience to have its perfect work in us? 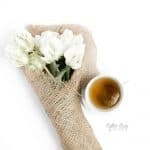 How can we cope when lacking patience? Instead of stressing and fretting over the problem, try to see the problem as a tool providing a means to an end. The testing can be, in fact, a gift to increase my spiritual maturity—a process I could go through in order to allow patience to mature me. The greek word for patience is hypomone (G5281). It’s derived from the words hypo (G5259) meaning under and meno (G3306) meaning to remain. Believers are “to remain under” or “bear up under” their trials. The testing of our faith produces hypomone. This is a quality I want! And I can have it by allowing the stress to be a tool to develop patience rather than an excuse to sin. 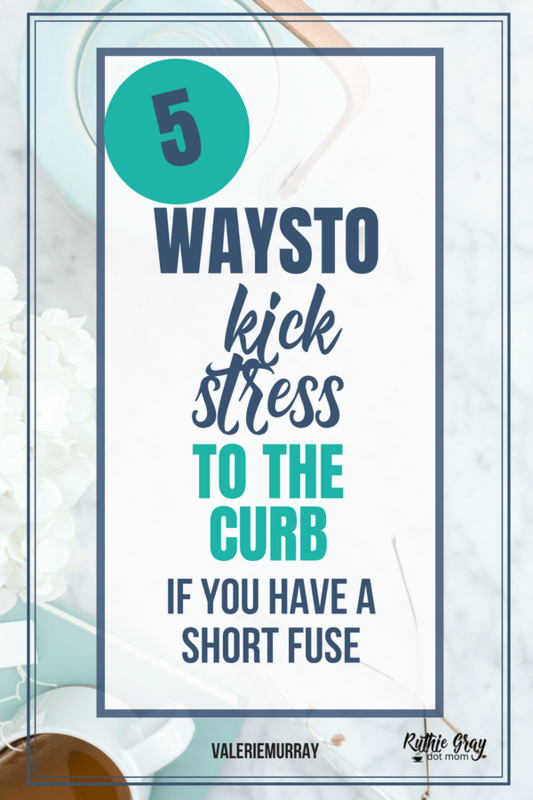 When I have a short fuse with my kids, it’s often because I’m feeling stressed and impatient over other issues going on. Impatience and anger go hand-in-hand. Learn to recognize anger as a symptom of impatience. 3.) 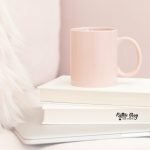 Ask: am I being selfish? Impatience is the symptom of eyes turned inward. When life gets overwhelming and my focus turns inward, I find it difficult to notice those around me. I’m busy. Self-absorbed. Hyper-focused on my to-do list. When I’m impatient I need to ask myself if I’m being selfish. And many times the answer to that question is yes! I’m only thinking about my needs. My list. My time table. A person’s wisdom yields patience. Wisdom yields patience. Seeking God will give us wisdom and in turn, we’ll learn to be patient. We can seek the Lord through prayer, Bible Study, worship and being still before Him. If you’ve been lacking patience, perhaps you’ve taken on too many responsibilities. Wisdom helps us know when to say no, be able to let go of perfection, slow down and enjoy the journey. I don’t have to wait until the problem is solved to be still. I don’t have to wait until my to-do list is done to be still. I can be still while completing a task. You can be still on the inside even when life is moving fast on the outside. Be still. You don’t have to finish everything to be still. Tell yourself that you will not get angry or fret about the situation. Sometimes I feel powerless to change. I could give up by saying I’m just an impatient person as if it’s a personality trait I can’t change. But it’s a character issue. I can change it with God’s help. God gives us the power to live out the fruits of the Holy Spirit. God’s power strengthens and equips us to be patient. V.5 But also for this very reason, giving all diligence, add to your faith virtue, to virtue knowledge, to knowledge self-control, to self-control perseverance, to perseverance godliness, to godliness brotherly kindness, and to brotherly kindness love. …being strengthened with all power according to his glorious might so that you may have great endurance and patience. 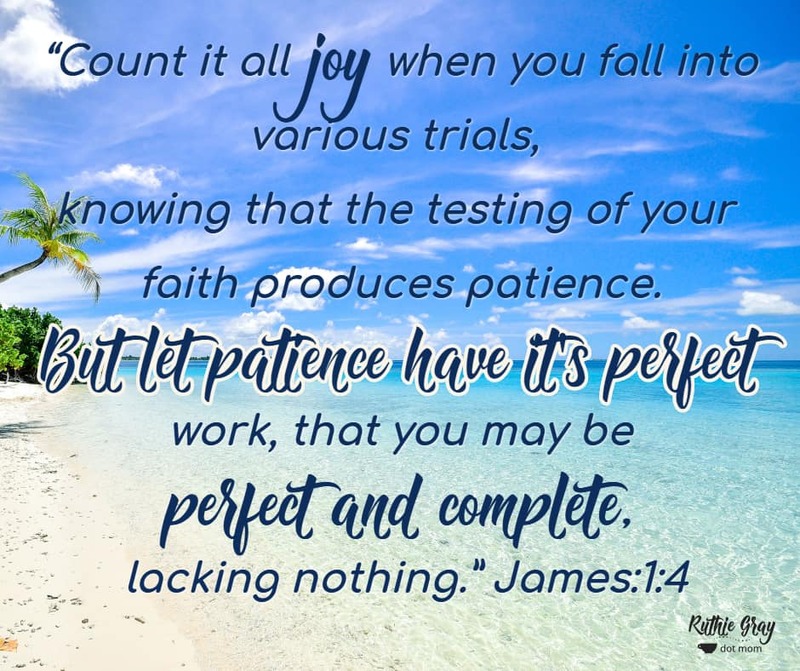 Instead of cringing when I feel impatience brewing inside of me, I find hope knowing that patience is possible and God gives me the strength to be patient if I allow trying situations to become a tool to mold me instead of an excuse to sin. What areas are trying your patience today? How can you allow patience to have its perfect work in you? I would love for you to share in the comments. 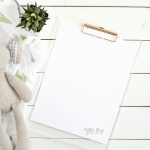 Tired of battling your inner “momster”? 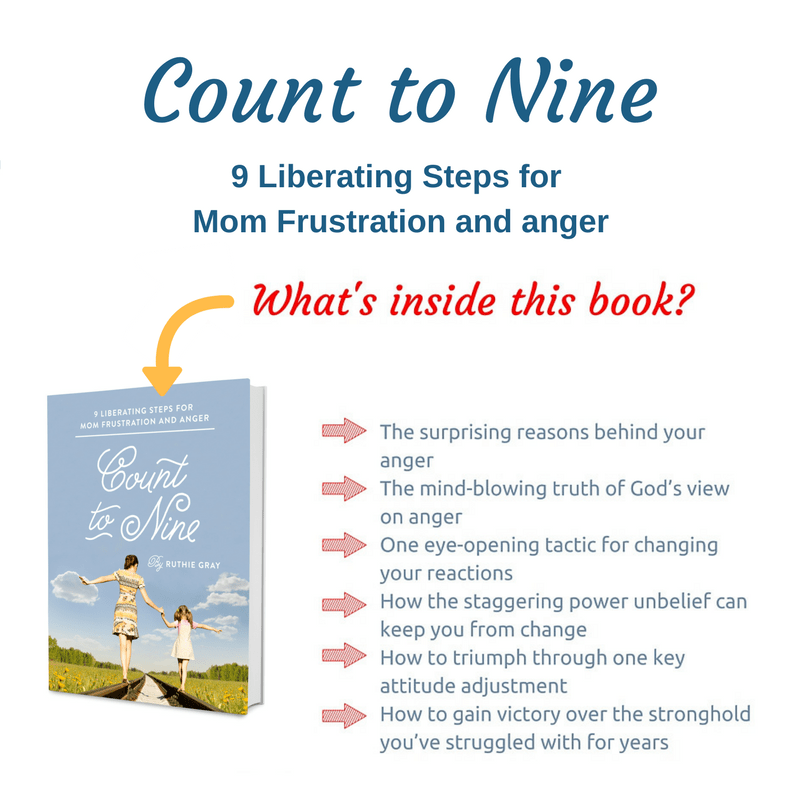 My book, Count to Nine, 9 Liberating Steps for Mom Anger and Frustration, gives nine essential steps to overcome anger. 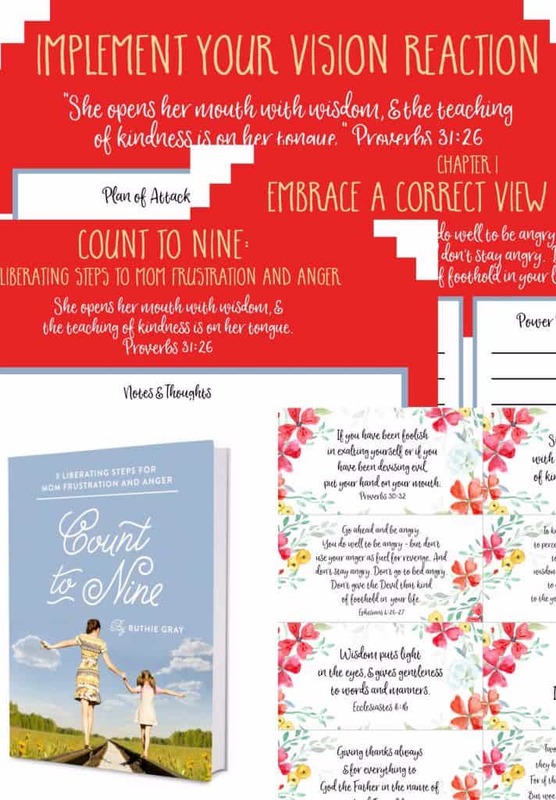 Offering *Scripture Pillars (ACTION verses), *Power-Packed Pillar Prayers, a plan of attack for each chapter, and more, this book will set you on the road towards recovery. It’s full of key Biblical strategies to help you parent gracefully and learn the Biblical approach to anger. How do I know? I teach this method to moms, and they are winning over anger by squashing the power of unbelief! This book is a small investment to make toward a big difference in the dynamic of your family. Are you ready to take the necessary steps to freedom and let God control your anger? Go check it out! Mama, this is the answer you’ve been seeking. Don’t put it off any longer. It’s time to Count to Nine. 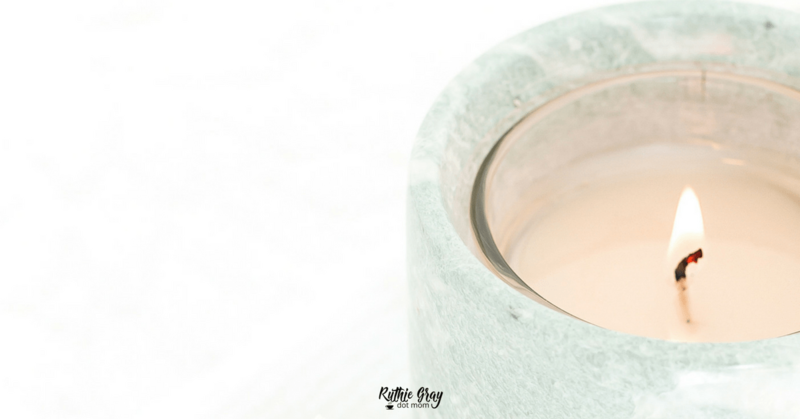 It’s always a joy to be a guest on your blog! 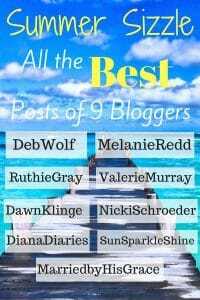 It was so fun to do the Summer Sizzle Blog Hop with you!